We cannot seem to break the raining spell just yet with another rainy forecast for the duration of the week. While that is good news for plant and grass growth, it does not help with the construction schedules or the general malaise of post winter stress syndrome. Fear not, warmer climes are on the way and with an improved forecast next week, things will ramp up and we will all start feeling better with longer days bathed with sunlight and warm temperatures. 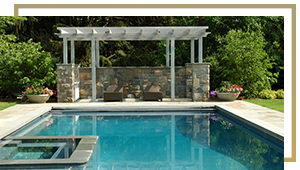 In the interim, now is the perfect time to start your summer gardening projects and the design professionals at IVY Studio, a landscape design and build consulting business based in the metro Boston area are available to lend their expertise to you on your next outdoor expansion project. Our three- stepping stone process of planning, designing and implementing has a success formula that can transform your outdoor environment from the ordinary to the extraordinary. Contact us at 781-591-0300 or vern@ivystudioMA.com to schedule a no obligation consultation.